Ningbo is one of the oldest cities in China with a history dating back to 4800 BC. First known as a commercial city on the Silk Road, it later became a major port during the Tang dynasty – along with Yangzhou and Canton – and its importance continued throughout the rule of the Song dynasty. Today, Ningbo is one of the liveliest port cities on the Pacific. Its port is the fourth largest in the world in terms of goods shipped and the city is the eighth in China in terms of international investments. Within this city with 8 million inhabitants on a surface as large as central Italy, Zhongshan Road is one of its main thoroughfares. The comprehensive improvement project of Zhongshan Road with a length of 9.2km from the Century Avenue in the east to the fast thoroughfare of the airport in the west was initiated in February, 2015. The lighting design for this important road was mainly based on safety, technological innovation, energy saving and ease of maintenance. It has also helped this area to look more appealing as the lighting design differentiates between vehicle and pedestrian zones, thereby boosting the city’s commercial prosperity as well as its lively atmosphere. 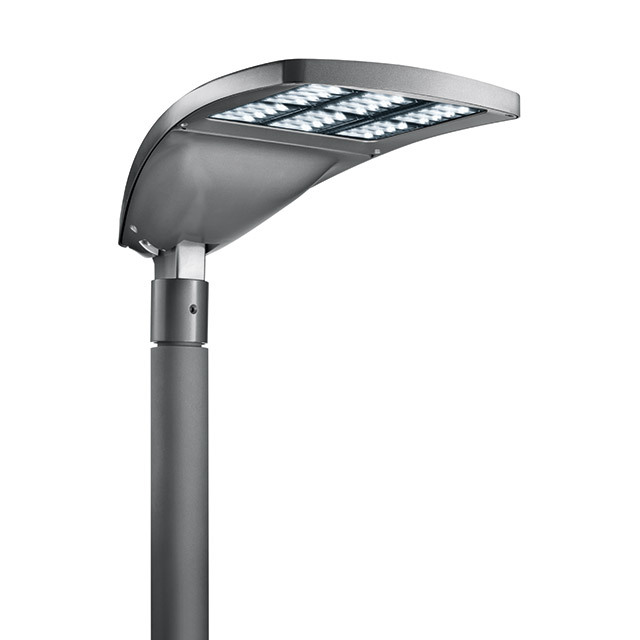 The lighting incorporates pole-mounted Wow luminaires which illuminate the 6-lane road and pole-mounted Crown luminaires used for the illumination of green areas and squares. The Wow luminaires, featuring a colour temperature of 4000 K, have been installed on repositioned poles given that power levels and optics are different from those used in the previous system. The chosen Multipower version of the Wow features a versatile electronic solution that allows civic authorities to easily adjust power levels. The luminaires also feature Middle of the Night Recognition, that automatically recognises the mid point of the switch-on time and the luminous flux without the need of external management systems. By inserting the pilot cable, with an external control element, you are free to decide when to bring the luminous flux back to 100%. The benefits of the extremely long lifespan of LEDs (100,000 L80, B10) and the practical design of the luminaires guarantee extremely low maintenance, and if ever required, the process is both simple and quick. A significant reduction in maintenance costs can therefore be added to energy savings of 70%. 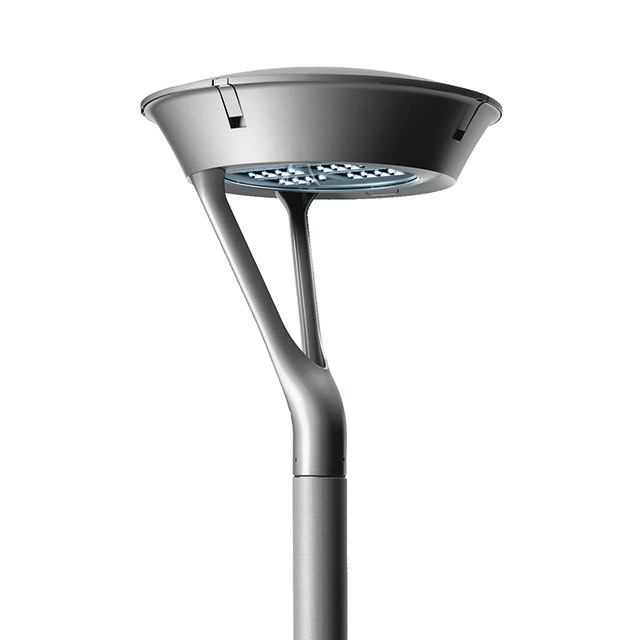 The Crown luminaires are fitted with asymmetric optics and also incorporate the Middle of the night Recognition system, but have a slightly warmer colour temperature (3000 K), which is particularly effective for pedestrian areas where people stop and socialise. The project has significantly changed the quality of the lighting, noticed both by motorists, who confirmed feeling safer, and by pedestrians who noticed an increased level of comfort and a more enjoyable atmosphere.